The Warriors continue to defy expectations, going 4-1 in their last five games thanks big time to Curry’s stellar play. He’s still a little off from norming a double-double, but his shooting numbers are mind-boggling. A couple of the guys he outplayed in the last five games include Jrue Holiday and Chris Paul. The Thunder haven’t started 2013 as strongly as people expect. They have lost two of their first four games after the New Year, including their latest tragedy against the Washington Wizards. Still, Westbrook’s production remained near the top of the league as the former UCLA Bruin continued to tear defenses to shreds with his explosiveness and improving three-point shot. Surprise! 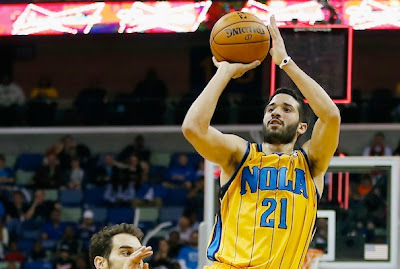 Despite the return of Eric Gordon, Vasquez continued to impress by norming a double-double from December 29, 2012 to January 7, 2013. The Hornets have, of course, benefitted greatly, winning three of their last five contests. Some opposing PGs Vasquez was able to outplay include Jeff Teague, Jeremy Lin, and Tony Parker. Well, look who returned to relevance! Nelson is norming just under 15ppg for the season, but he almost doubled that in Orlando’s last five games. That’s thanks mainly to his improved shot from beyond the arc, which is currently 9 percentage points higher than his season success rate. It’s just too bad that the Magic haven’t tasted a win since December 19. The Clips have limped through January, going 2-2 after sweeping their December assignments, but they still remain one of the league’s hottest squads thanks to the consistently brilliant play of CP3. Paul’s assists took a bit of a dip in his last five outings, but he’s picked up his scoring to make up for it. He’s definitely a shoo-in for an All-Star spot, and maybe, just maybe, present a compelling argument in the MVP conversation. 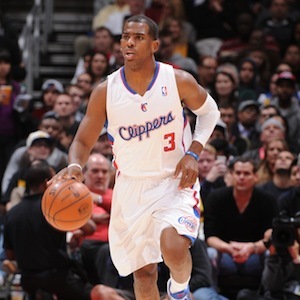 Chris Paul remains to be the best PG in the land. Russell Westbrook paced five Thunder players in double figures with 23 points and seven assists as Oklahoma City thumped the Toronto Raptors, 104-92, on Sunday at Air Canada Centre. Kevin Durant netted 22 points on 6-of-11 shooting to go with seven rebounds and seven assists, while Serge Ibaka added 19 points and eight boards for the Thunder, who have won two straight since a loss to Brooklyn on Wednesday and five of six overall. Kevin Martin scored 16 points and Nick Collison donated 10 and eight rebounds in the triumph. Alan Anderson posted 27 points on 10-of-14 shooting, while Amir Johnson added 19 and nine boards in the setback for Toronto, which has lost two straight since a three-game winning streak. DeMar DeRozan and Jose Calderon gave 11 and 10 points, respectively, in a losing cause. LeBron James netted a game-high 24 points and handed out seven assists as the Miami Heat easily dropped the Washington Wizards, 99-71, on Sunday at American Airlines Arena. Ray Allen knocked down 8-of-12 from the floor en route to 20 points and six rebounds, while Chris Bosh added 17 points, nine rebounds and four blocks for the Heat, who have won three of their last four. Dwyane Wade hit 7-of-14 from the field for 14 points to go with seven rebounds and Mike Miller contributed 13 points off the bench in the triumph. Kevin Seraphin scored 14 points and Cartier Martin donated 13 points for the Wizards, who have lost five straight since a win over Orlando on Dec. 28. Martell Webster gave 10 points and six rebounds in a losing effort. Kemba Walker made big plays late in a 20- point scoring effort and the Charlotte Bobcats avoided another losing streak by beating the Pistons, 108-101, in overtime at the Palace of Auburn Hills. Walker scored on a floater in the final seconds of regulation to force overtime and gave Charlotte a six-point cushion in the extra session with a reverse layup to seal the victory and deny the Pistons of their first five- game winning streak since 2009. Bismack Biyombo totaled 10 points and 17 rebounds, while Ben Gordon and Ramon Sessions put forth strong efforts off the bench with 18 and 15 points, respectively, in the Bobcats' second win in three games. Tayshaun Prince scored a game-high 21 points to go along with seven boards for the Pistons, who received 18 points apiece from Greg Monroe and Rodney Stuckey. Monroe also finished with 14 rebounds and six assists in the defeat. Zach Randolph had 21 points and eight rebounds to lead the Memphis Grizzlies past the Phoenix Suns, 92-81, at US Airways Center. Rudy Gay followed with 20 points and Marc Gasol filled the stat sheet with 10 points, 12 rebounds, five assists and three blocks for the Grizzlies, who have won three of their last five. P.J. Tucker finished with 17 points and five rebounds for Phoenix, which has dropped two straight and eight of nine overall. Marcin Gortat was the only other member of the Suns to score in double digits with 12 points. Ty Lawson tallied a double-double with 21 points and 10 assists to help the Denver Nuggets take a 112-105 decision over the Los Angeles Lakers. Danilo Gallinari gave 20 points and six boards, while Andre Miller contributed 12 points and 10 assists. JaVale McGee posted 17 points, six rebounds, three steals and two blocks in the Nuggets' fifth win in seven games. Meanwhile, the reeling Lakers have dropped four of five following their season-long five-game winning streak. Kobe Bryant scored 18 of his 29 points in the fourth quarter, but it wasn't enough to prevent Los Angeles from its 18th loss in 33 games. Dwight Howard and Steve Nash each posted double-doubles in the loss. Howard scored 14 points and tied a career- high with 26 rebounds to go along with four blocks and Nash finished with 10 points and 13 assists. Bradley Beal scored 22 points and sank the game-winning shot with 0.3 seconds remaining to lift the Washington Wizards to a shocking 101-99 victory over Oklahoma City Thunder on Monday. Playing without Jordan Crawford and Nene due to injuries, Washington still earned its second straight triumph over the Thunder when Beal broke a 99-99 tie by throwing a pump fake and hitting a leaning jumper in the lane. Martell Webster also tallied 22 points and Kevin Seraphin poured in 19 for Washington. Emeka Okafor totaled a double-double with 12 points and 12 rebounds in just the second Wizards' win in their last 15 games. Washington had lost five in a row entering the contest. Kevin Durant posted 29 points, eight assists and seven boards for the Thunder, who had won five of six coming in. Serge Ibaka scored a career-high 26 points to go along with 11 rebounds and Russell Westbrook finished with 17 points and eight assists in defeat. No Rajon Rondo, no problem this time for the Boston Celtics. Playing without their suspended All-Star point guard, the defending Atlantic Division champions received big efforts from their other established players to come through with a much-needed 102-96 victory over the rival New York Knicks at Madison Square Garden. Paul Pierce amassed 23 points on 10-of-18 shooting and Kevin Garnett added 19 points with 10 rebounds as Boston matched a season-high with its third consecutive victory. Taking over ball-handling duties with Rondo forced to sit out after making contact with an official during Saturday's win at Atlanta, Avery Bradley delivered 13 points and five assists for the Celtics, who also got a lift from Jeff Green's 16 points off the bench. Boston also shined on the defensive end, limiting the Knicks to a 40.8 percent success rate from the floor. Carmelo Anthony managed 20 points for New York, but made good on just 6-of-26 field goal attempts. J.R. Smith finished with 24 points and Tyson Chandler had 13 along with 17 rebounds in the loss, which halted the Atlantic-leading Knicks' two-game win streak. Carlos Boozer poured in a game-high 24 points and ripped down 11 rebounds as the Chicago Bulls easily handled the Cleveland Cavaliers, 118-92, at United Center on Monday. Luol Deng netted 19 points to go with seven assists, five rebounds and four steals, while Taj Gibson hit 8-of-9 from the floor for 18 points to go along with seven boards for the Bulls, who have won three straight since a loss to Charlotte on Dec. 31. Marco Belinelli hit three 3-pointers and finished with 15 points and five assists, while Nate Robinson ended his night with 14 points and seven assists in the rout. Dion Waiters scored 18 points and grabbed six boards, while Kyrie Irving added 15 points and six assists for the Cavs, who have come out on the wrong side of the score in five of their last six games. C.J. Miles and Tristan Thompson contributed 15 and 14 points, respectively, in the setback. Eric Gordon scored a game-high 24 points and the New Orleans Hornets snapped a six-game losing streak to the Spurs with a 95-88 victory over San Antonio. Rookie Anthony Davis tallied 17 points and nine rebounds and Greivis Vasquez finished with 14 points and 11 assists to help the Hornets end a seven-game slide at home. Manu Ginobili led the Spurs with 21 points and Tony Parker followed with 16. Tim Duncan chipped in with 13 points and eight boards for San Antonio, which has dropped six of its past eight road games. Greivis Vasquez has been playing really well of late for NOH. Gordon Hayward scored 27 points and the Utah Jazz put forth a strong fourth quarter to rally for a 100-94 victory over the badly slumping Dallas Mavericks at EnergySolutions Arena. The Jazz outscored Dallas by a 26-14 margin in the final stanza to erase an eight- point deficit early in the period and notch their third win in four games, while dealing the spiraling Mavericks a third straight loss and 12th setback in their last 14 outings. Al Jefferson amassed 15 points and 11 rebounds to aid the Utah comeback, with Paul Millsap adding 14 points and nine boards and Alec Burks netting eight of his 13 points during the fourth- quarter surge. Dirk Nowitzki recorded 20 points in Dallas' latest defeat, while Chris Kaman registered 14 points and nine rebounds and Elton Brand delivered an 11-point, nine-board effort off the bench. LaMarcus Aldridge posted 27 points, 10 rebounds and five assists as the Portland Trail Blazers took a 125-119 overtime win over the Orlando Magic. Damian Lillard had the go-ahead bucket in the extra period, scored the next basket and followed that with a steal and an assist as part of an 18-point, 10-assist game for the Trail Blazers, who have won five of their last six and eight straight at home. Wesley Matthews had 24 points and J.J. Hickson added 20 points and 15 boards in a winning effort. J.J. Redick scored 29 points with five assists, while Arron Afflalo added 24 points and five boards for the Magic, who have dropped nine straight and are on their longest losing streak since dropping 13 straight from March 13-April 10, 2004. Wayne Ellington poured in 19 of his career- high 26 points in the second half as the Memphis Grizzlies rolled to a 113-81 victory over the Sacramento Kings at Sleep Train Arena. Ellington missed on only one of his 11 field goal attempts and went a scorching 6-of-7 from 3-point range, and the Grizzlies outscored Sacramento by a lopsided 62-36 margin after halftime en route to a second straight win on their current road trip. Zach Randolph added 17 points and seven rebounds, Mike Conley compiled 15 points and eight assists, and three other Memphis players scored in double figures on the evening. John Salmons paced the Kings with 17 points, but only four came over the final two quarters. Leading scorer DeMarcus Cousins was held to 10 points on 3-of-9 shooting as Sacramento was dealt a second consecutive defeat following a 4-1 stretch.